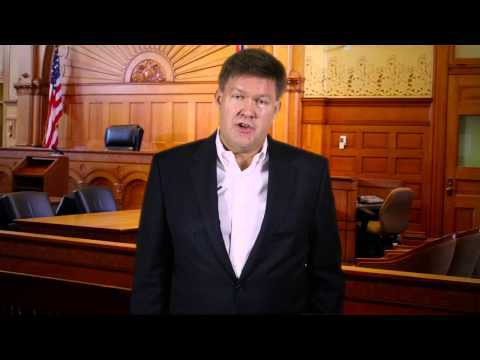 Video: What is Chapter 7 Bankruptcy? All bankruptcy cases must be filed in federal bankruptcy court. The three most common types of bankruptcy are Chapter 7, Chapter 13 and Chapter 11. All bankruptcy filings charge fees, although in rare cases, the court may waive certain fees. If you’re at all uncertain about how to file for bankruptcy, a Yuma, Arizona bankruptcy attorney can offer valuable advice and even file the paperwork for you. Video: What is the Difference Between Probation and Parole? At the time of sentencing, a judge can order probation in lieu of jail time or to follow a jail sentence. But parole isn’t part of a judge's sentencing order. Parole is an early release of an inmate from prison. If you have specific questions related to the details of your probation or parole, a Payson criminal defense attorney can help. Video: What is a misdemeanor? Generally speaking, crimes that are less serious than felonies but more serious than civil infractions are called “misdemeanors.”Misdemeanor convictions carry a range of penalties, including fines, probation, community service, restitution, and jail. If you’ve been charged with a misdemeanor, an Arizona criminal defense lawyer can explain how the law applies in your situation. Video: What Should I Do if I Have Been Charged with a Crime? If you have been arrested and charged with a crime, start by remembering you have important rights, including the right to remain silent, the right to have an lawyer present at questioning, and the right to be free from unreasonable searches. You should invoke all of those rights, and consult an experienced Yuma criminal law attorney to plan a strategy for dealing with the charges against you. Under state and federal law, serious crimes are generally called “felonies” and less serious crimes are “misdemeanors.” Each of these categories can also have classes or levels, depending on the relative seriousness of the offense and the stringency of the punishment. If you’ve been charged with a felony, a Yuma criminal defense attorney in your area can explain your rights and tell you what to expect. Even if you’ve been falsely accused of a crime, you should contact a Yuma criminal defense lawyer, who can protect your rights. Our criminal justice system is adversarial by nature, and unrepresented defendants are at a significant disadvantage against a professional prosecutor, even when they are completely innocent. Even if you aren’t ready to hire an attorney, you can consult one on a limited basis and still enjoy full attorney-client privilege. You can typically expect the police to fingerprint you, take your mugshot and administer a blood alcohol test at the station. If the prosecutor files charges, you will likely have to go to court several times and choose between plea negotiations with the prosecutor or going to trial. A Yuma DUI attorney can help you weigh the pros and cons of each alternative.